England have always struggled for balance and stability in their Twenty20 side, particularly at the top of the order, and the absence of Andrew Flintoff seems likely to exacerbate those struggles, as does the fact that the Test and 50-over captain does not feature in the squad for this tournament. Home advantage may be valuable, however, and in any case the team can hardly do worse than in 2007- in that tournament, England managed only a single victory (over Zimbabwe) . The Netherlands qualified along with Ireland and Scotland, with Ryan ten Doeschate and Peter Borren impressing in the qualifying tournament. 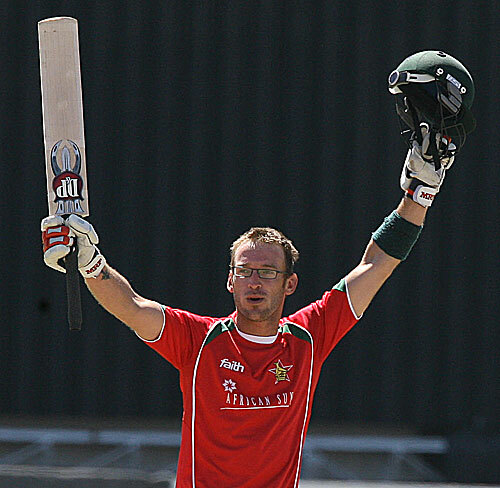 Added to those players for the finals is Dirk Nannes, a Twenty20 specialist who has ‘gone Dutch’ after continually missing out on selection for Australia. Progress to the Super Eight stage seems unlikely, but a surprise result against England (or even Pakistan) isn’t out of the question. Pakistan are highly fancied to go one better than in 2007 and win the tournament. Their T20 International record is the best around. The exclusion of Pakistani players from this season’s IPL may have been a blessing in disguise, as it has given the national side plenty of time together to train (and has allowed the week-long RBS cup to become a sort of intensive private rehearsal for the players who would otherwise have been in South Africa). Ajantha Mendis is now the fastest man to 50 ODI wickets, after taking 3-15 as Zimbabwe were humbled to 80 all out in the second match of the Tri-Series currently being hosted in Bangladesh. The young spinner’s brief career has already included six matches against Zimbabwe, two against Bangladesh and one against the UAE, so his current average (a preposterous 9.82 at the time of writing) is sure to rise, but he has also bowled against India six times (including his amazing spell in the Asia Cup final), so it may not rise by as much as some might think. By way of comparison, Shane Warne took six matches longer to take 50 ODI wickets, but his first 20-odd ODIs were nearly all against established sides.